Thekeyplay.com is owned by Orange and Maroon Media, LLC. User account privileges such as: reading articles, posting in the forums, and commenting may be revoked at any time at the discretion of site administrators or ownership. The Key Play is intended for adults 18-years-old and older. 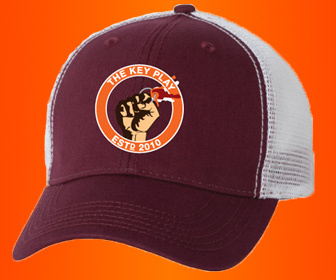 Orange and Maroon Media, LLC does not bear any responsibility for user submitted content in Thekeyplay.com's forums, comments or blog posts. User submitted content must comply with appropriate laws. User accounts receiving multiple complaints or violations may be terminated without notice.